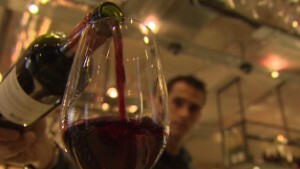 Say it ain't so...Is there a global wine drought? Going Global showcases entrepreneurs taking their businesses around the world, tackling issues like business strategy, marketing and international logistics. (CNN) -- Global wine production is booming with vineyards springing up everywhere from China to the United States, Chile and New Zealand. 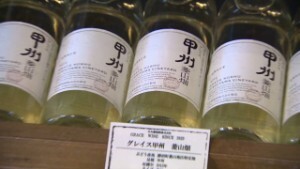 The report stated that the international demand for wine outweighed production by 300 million cases in 2012 -- dropping to its lowest point in over 40 years. As the viticulture chaos ensued, France's International Organization of Vine and Wine (OIV) released their very own forecast report that countered Morgan Stanley's analysis. While Morgan Stanley's figures weren't incorrect, per se, their forecast did not take into account 2013's production levels which actually show a return to 2006 production levels, a healthy state of production for the industry. What's more -- Spain, Italy, France and Chile produced record wine levels in 2013. "It's how you interpret those figures. For all intents and purposes, for those of us in the West who are consumers, no -- there is not going to be a wine shortage," says Felicity Carter, editor-in-chief of Meininger's Wine Business International magazine. "The question is whether there is going to be a wine shortage for consumers in markets that are extremely price sensitive -- like parts of Eastern Europe -- because the cheaper wine that they drink will be diverted to bulk up wine that goes into big consumption markets." "The question is whether there is going to be a wine shortage for consumers in markets that are extremely price sensitive. "The Burgundy harvest and the Bordeaux harvest this year have been abysmal ... If you wanted wine from the 2013 Burgundy or some parts of France, you're going to have a big problem. 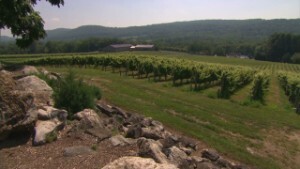 You will probably pay a lot more for those wines," she explains. "The question is can you substitute other types of wine for those? Now, the answer is yes." She adds: "Morgan Stanley, by the way, were not wrong in what they said. They did use very good figures and they do know what they are talking about but the world of wine is just so complex." At a time when many have lost faith in the global financial system, Bitcoin is being hailed as the future of e-commerce. Are wine lovers going thirsty? Global wine production is booming with vineyards springing up everywhere from China to the United States, Chile and New Zealand. When David Beckham was spotted in the Macau crowd at Manny Pacquio vs. Brandon Rio fight many assumed he was there just as a boxing fan. The world is undergoing a mobility transformation. Since Apple launched the first iPhone in 2007, more than 100 billion apps have been downloaded from app stores by consumers worldwide. In the age of personalization, a Finnish company is bringing 3D technology to the world of bespoke men's footwear. With online-shopping on the rise, enticing customers in-store is increasingly difficult, spurring retailers to dream up new ways to woo shoppers. Did Heinz get it wrong with new CEO? A new chapter in the fast-food wars was created with Heinz hiring Bernardo Hees, former Burger King CEO, to lead its company. The decline of print and rise in peer-reviewed websites are giving publishers a big headache. So how do you find an edge in the crowded marketplace? When the love child of the doughnut and the croissant was created in New York, fans queued for hours to sample the tasty hybrid snack. Savvy companies like Red Bull are turning to multi-pronged social media recruitment campaigns to unearth hidden talent. The World Bank's most recent report that ranks economies for ease of startups. Find out which country is the easiest to launch your business empire. What happens when you take a few startups and add academics, business execs, a Nobel Peace Laureate and put them on a ship? Entrepreneurship is an important key to the world's economies, writes author Beverly Schwartz. See the full coverage of CNN's Going Global, a show highlighting entrepreneurs taking their businesses around the world.